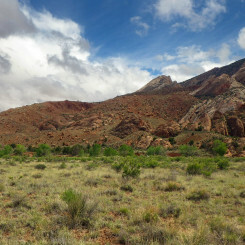 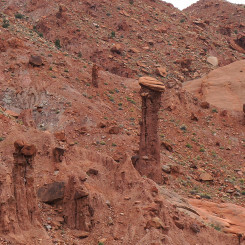 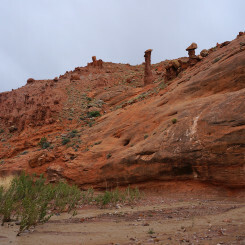 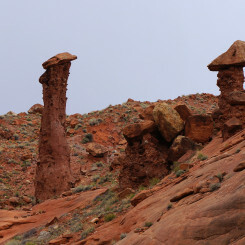 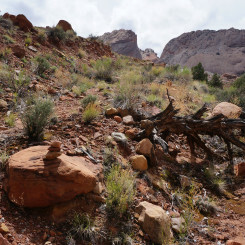 Hayduke: Red Slide Hoodoos Diversion – Across Utah! 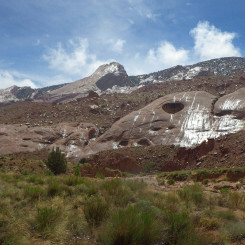 Just south of where the Hayduke Trail climbs up the Red Slide route in Capitol Reef National Park, there is a cool outcrop of red hoodoos. 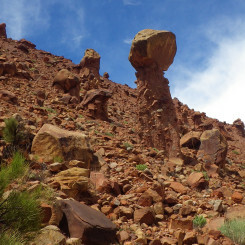 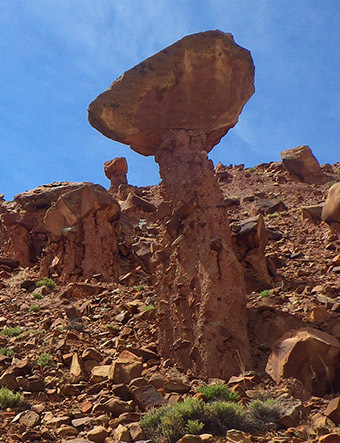 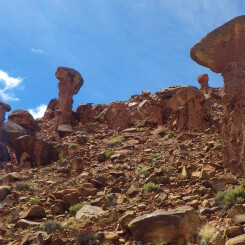 These red-rock capped toadstools are on the southern edge of the Red Slide formation about 3/4 mile south of the Hayduke and the old mining road. 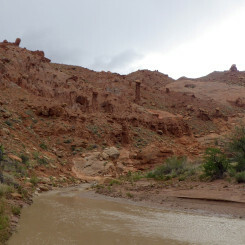 The location is along the way for those headed toward Halls Creek Narrows and/or taking the the Baker/Stevens Canyon Alternate. 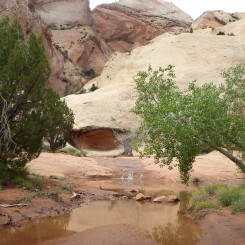 The fairly reliable water source, the Fountain Tanks, are approximately 1/2 mile south of the hoodoos.